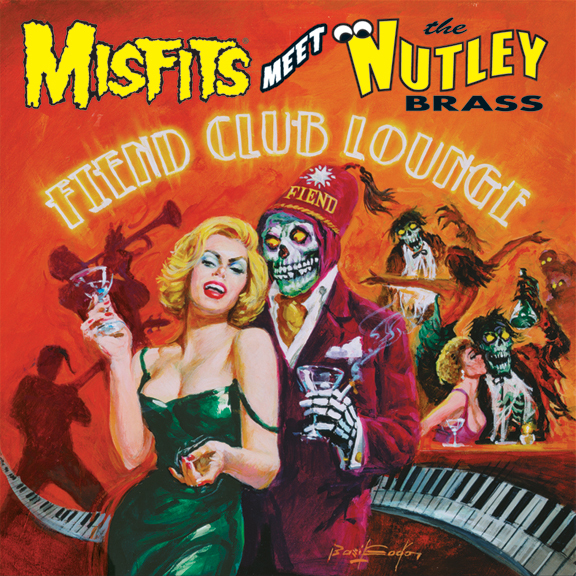 Yes, Fiends, the ultimate and most unusal of all Misfits tributes is now available as the Misfits meet the Nutley Brass in the Fiend Club Lounge! 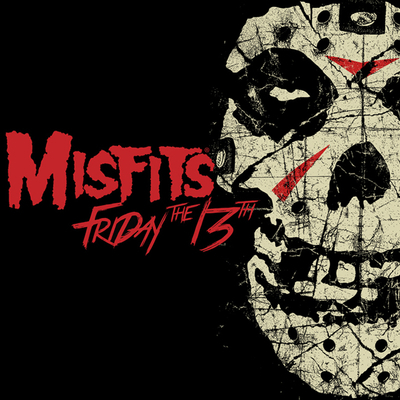 11 classic era Misfits favorites have been interpreted in the form of highly well-executed, instrumental, retro inspired “Space Age Pop” or “Lounge” style cover versions that will have horror-punks, lounge enthusiasts and fans of incredibly strange music going wild in the pit! 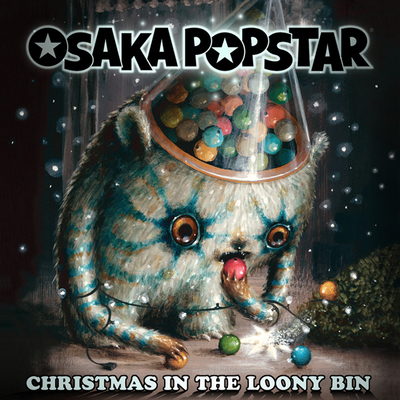 The 2005 CD included a free bonus collectible drink coaster (featuring the album artwork) inside the jewel case. 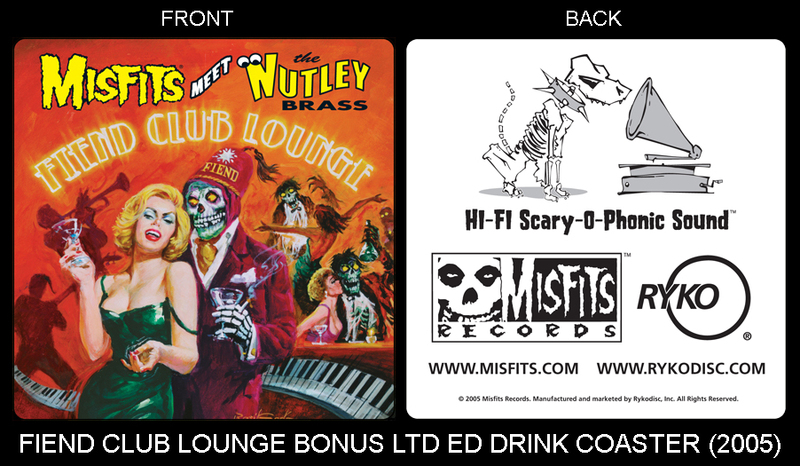 Officially endorsed by the Misfits and released via their Misfits Records label imprint, “Misfits Meet the Nutley Brass: Fiend Club Lounge” is a smooth ride through 11 Misfits classics, as performed by Sam Elwitt’s Nutley, N.J., bred Nutley Brass. 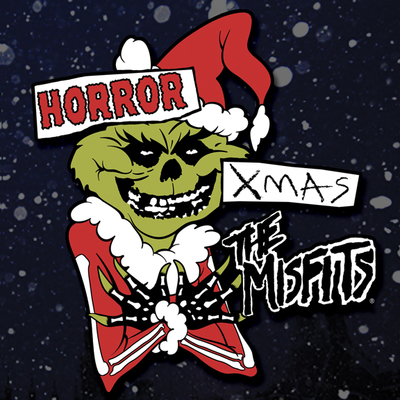 The lounge-core tribute to the legendary horror-punk band was envisioned by the project’s Producer, John Cafiero, who had been directing a Ramones DVD and was in touch with Elwitt for use of some of his music from “The Ramones Songbook as Played by the Nutley Brass.” Cafiero had discovered the Nutley Brass back in 1995 and after contacting Elwitt about the Ramones DVD, the concept of “Fiend Club Lounge” began to develop. “Even legendary composers of the genre like Gert Wilden, Esquivel and the Jaguar God himself, Les Baxter would be proud of these Misfits classics, served with a twist and scientifically proven to soothe your road rage,” said Cafiero. “Fiend Club Lounge” features all new paintings created exclusively for the release by legendary “Famous Monsters of Filmland” magazine cover artist Basil Gogos, plus an eight-page booklet and extensive liner notes. First pressing copies include a Limited Edition Fiend Club Lounge drink coaster perfect for resting a cocktail while enjoying the smooth sounds.